Guides to Trustom Pond, Ninigret Beach, and Great Swamp. Cleveland Area Birding Site Guide, birding reports, Breeding Birds of Lake View Cemetery, The Shorebird Watcher, rare bird photos, and count results. Complete details on the new North Alabama Birding Trail, including maps, site descriptions, and directions. Notes and photos of NC land and pelagic birding trips. Information about birding in north-central Texas, including hotspots, rare bird alert transcripts, state maps, photos, annotated list of specialty birds, checklists, and links. Reviews of optical equipment for birding and digiscoping. Articles and pictures about birding. Loop tour with descriptions of 20 birding locations, checklist, and beginning birding advice. Events, sightings log, weekly abundance checklist, site guides to 11 birding areas, and local birding history. Founded to promote quality birding and conservation in Guatemala through tours, 'birding products', workshops, and donations. Brief introductory essay, links, resources, and photo tour. Information about birding in 7 different habitats, general birding and country info, trip reports, species accounts for Taiwans 15 endemics and selected rarities, annotated checklist, and resources. Well-rounded site for birding beginners in British Columbia covering birding basics such as optics, field guides, species, links, clubs, and publications. Checklists, birding locations, endemic species accounts, and links for birding in the Democratic Republic of Congo (formerly Zaire). Recent rarities, guide to birding throughout the year, map and descriptions of birding sites, and best spots for certain species. Information on the annual Potholes & Prairie Birding Festival held in early June in Carrington, information about birding drive booklets, and links. Annual event held in Titusville in November. Schedule of events, site guides to 11 hotspots, bird count results, photo gallery, birding articles, and birding contest winners. Essays and articles about birding on Long Island, backyard birding, tips, sightings, favorite bird books, conservation issues, hot spots, and photos. Birding resources country by country. This site includes checklists, lists of endemic, print resources, key web-sites and top birding spots. Guide to birdwatching in the Cleveland Metro area. Map List software for North American and world birding lists, plus many links. North Queensland bird photographs, birding sites, and lists. A few maps to good birding spots and links for south Florida birding. General information by Angus Wilson, with photos and links. Newsletter for understanding bird behavior in North America and Australia, with sample articles. The Belize Birding Guide is an on-line collabortive project to create a birding and birdwatching guide to Belize. The site uses a wiki to allow anyone to update the site. Photographs of birds from the ABA North American region, with birding and photograph links for beginners to experts. Photo gallery, field trips, meetings, bird records committee, resources, and links. Basic guide to Denver metro area birding hot spots. Surveys, narratives, and local birding spots. Birding information and checklist for 27 acre wetland. Overview, sightings, list of birding spots, and links. If the business hours of Birding Trails in Rhode Island in may vary on holidays like Valentine’s Day, Washington’s Birthday, St. Patrick’s Day, Easter, Easter eve and Mother’s day. We display standard opening hours and price ranges in our profile site. We recommend to check out gorp.away.com/gorp/publishers/countryman/walk2_ri.htm for further information. 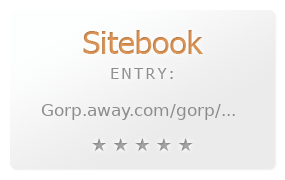 You can also search for Alternatives for gorp.away.com/gorp/publishers/countryman/walk2_ri.htm on our Review Site Sitebook.org All trademarks are the property of their respective owners. If we should delete this entry, please send us a short E-Mail.